1) Use our primer meant for exterior called Best Under- EX. This material is made of diatomite earth. After applying this onto the cement plaster, then apply Kyoto Exterior the next day. 2) Apply Kyoto Exterior directly onto cement plaster, assuming the wall is smooth and defect free. After that apply sealer called Mel-Top-Si which comes in a can of 15kg liquid. 1m2 area requires only 0.2kg sealer. Either way, the above 2 recommendations are OPTIONAL. Application is same as any other Jwall series. When we mentioned "better have over hanging roof, it is just as precaution. If your project is an exposed wall, just make sure underlaying material is properly installed. 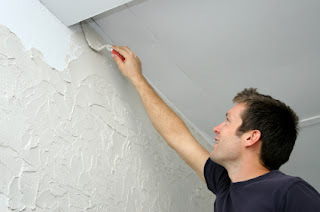 Bare in mind that whatever material used, open-exposed walls are usually easily dirty by weather, dust, etc. Do email or call us when you still have doubt as we are always here to take care of you.